Porcelain Veneers Pembroke Pines | Allen Dental, Inc. Cosmetic dental procedures enable Dr. Hugh Allen to improve the beauty of your smile. One of the more dramatic ways to alter the appearance of an individual tooth is with a veneer. Allen Dental provides porcelain veneers in Pembroke Pines, Miramar, and the surrounding communities. For some patients, the service they require is purely cosmetic. A tooth might have cracks or chips that negatively impact its appearance but do not cause health problems. Alternatively, there may be gaps or internal staining affecting a smile’s image. A porcelain veneer is a thin shell of dental ceramic placed onto the tooth which needs cosmetic rehabilitation. This shell improves the tooth’s size, structure, and color. Receiving veneers helps you develop a smile with a gorgeous, uniform appearance. 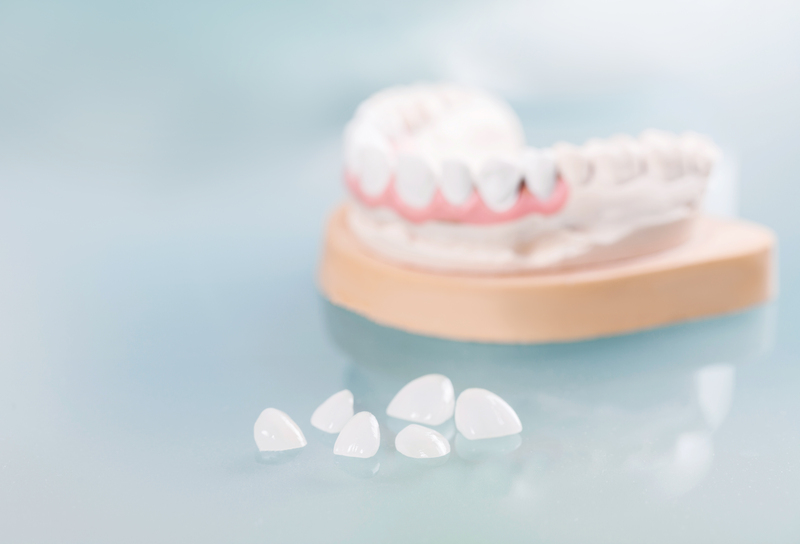 There is a specific reason why porcelain is the material of choice for the veneers our Pembroke Pines dental practice offers. Dental porcelain is a body-safe ceramic material prized for its cosmetic dental applications. It has the same color and translucence that healthy real teeth do, and the reshaped tooth looks as natural and beautiful as the rest of your smile. Additionally, porcelain is durable enough to allow your veneers to last a long time. The benefits of a porcelain veneer include a higher longevity than that of the alternative treatment, composite bonding. The traditional method for receiving porcelain veneers is a multi-step process. Your dentist would have to send your impressions off to a dental laboratory for fabrication, causing you to wait two weeks before finally rebuilding your smile. However, Dr. Allen can circumvent this process through the use of CEREC. While best known for creating crowns, this technology allows our dentist to craft several different types of dental prosthetics, including veneers, on site in as little as one hour. You can drastically improve the appearance of your smile within one visit to the dentist, rather than having to wait for weeks. Allen Dental helps patients in Pembroke Pines develop their ideal smile with porcelain veneers. This is one of many cosmetic dental services we offer to help you develop your ideal image. If a makeover through veneers is right for you, call our practice today and schedule an appointment.